Today I’m experimenting again with my HaloChef. 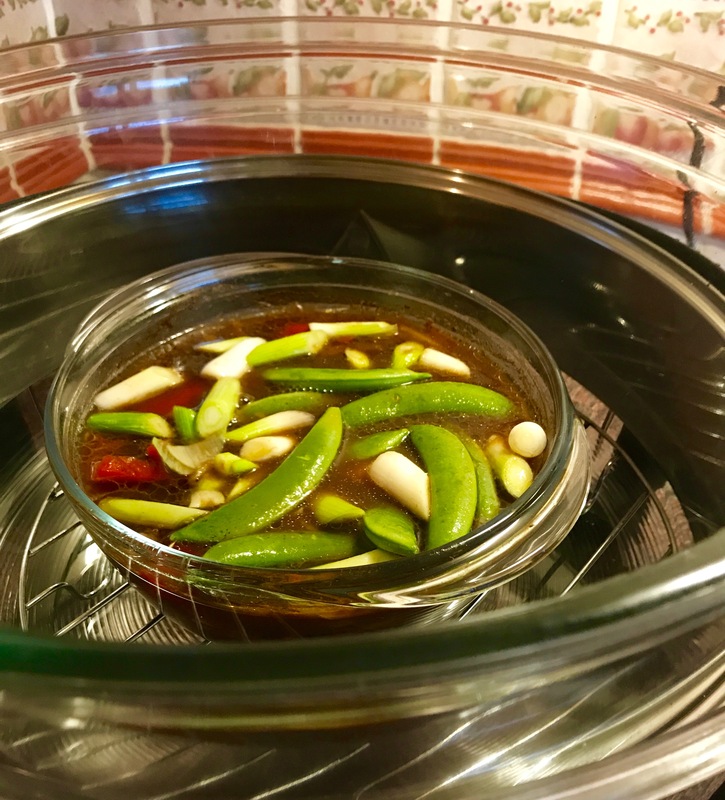 This versatile halogen oven seems to present endless cooking opportunities as you can use it to roast bake, grill and defrost. It’s powered by halogen light that generates heat for quick and easy cooking. And it’s environmentally friendly, too, as you’re using less energy. 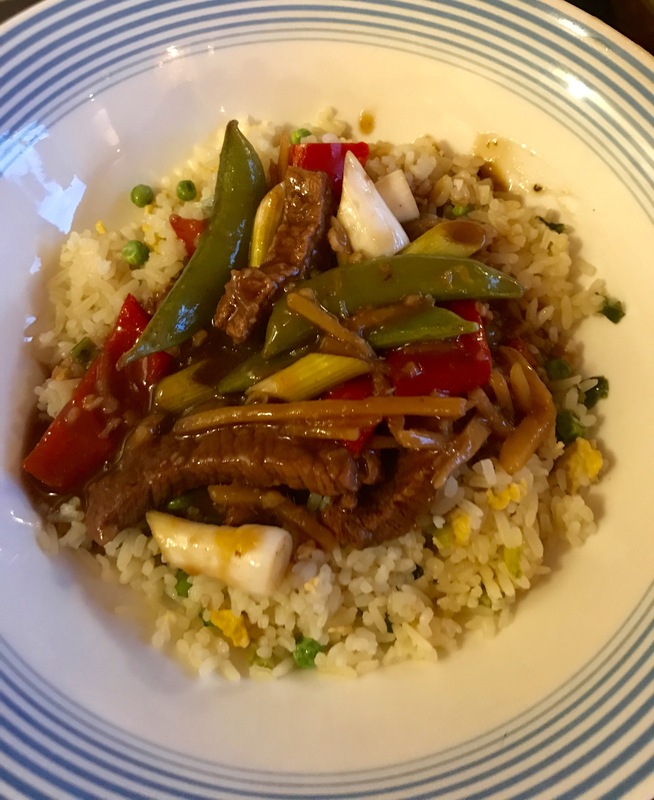 Today’s dish is kind of a cross between a stir-fry and a stew with some tasty Asian flavours. I browned the meat in a frying pan before putting it in the casserole but all the rest of the ingredients are simply chopped and put in raw. So there’s little preparation and even less mess to clear up. Hooray! Cooking in the HaloChef produced beautifully tender meat and a luscious sauce which had a real gingery bite – a new firm favourite in our house. Heat the oil in frying pan and fry the beef until browned. Transfer to a casserole dish with a lid. Add the chopped pepper. 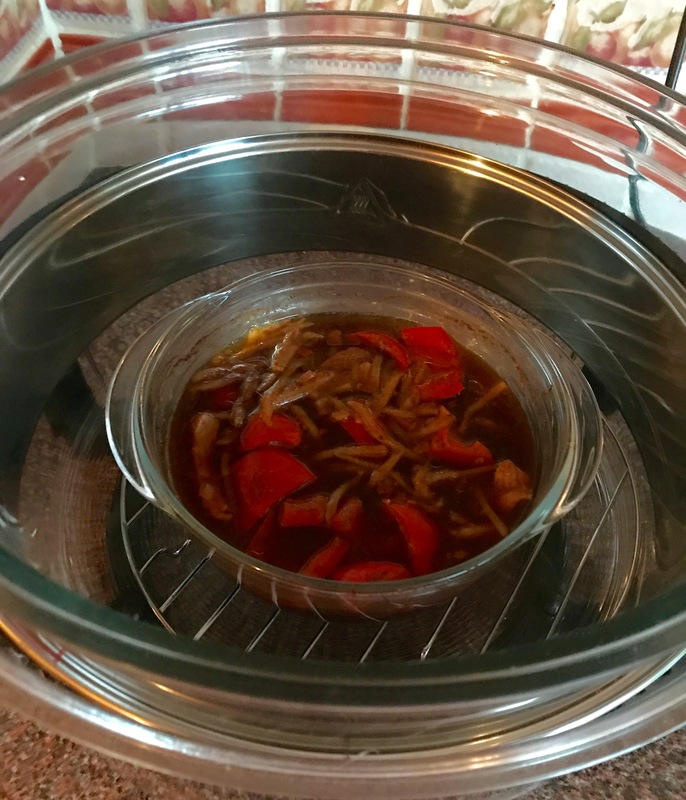 Pour over the stock, soy sauce, ginger and chilli. Put the lid on the casserole. Set the halogen oven to 200C and cook for 50 mins. Blend cornflour with water. Stir it into beef, add the sugar snap peas and spring onion. You can find out more about the HaloChef which retails for £89.99 here. And exclusively for readers of eatingcoventgarden.com you can get a discount of £6.99 by entering the code ECGCR3 when you buy. Go on, you know you need a HaloChef in your life.